Perfusion 4D is fast and simple to use, providing automatic tissue assessment of perfusion changes. The protocol-driven design leads the user step-by-step through the process, reducing keystrokes and improving repeatability. So you can get the information you want quickly and reliably. GE's Perfusion 4D Multi-Organ is a fast, easy-to-use automated software for analyzing CT Perfusion images related to stroke and tumor angiogenesis. Its simple user interface and fully automated perfusion post-processing make it easy for you to diagnose quickly and accurately - and help make treatment decisions more confidently. GE leverages its de-convolution expertise, with its innovative delay corrected algorithm. Perfusion 4D takes perfusion assessment to the next level, with a new Smart Map that creates noise-reduced functional maps while preserving functional detail. Improved IQ of functional maps in presence of noise. Streamlined workflow for tissue classification. Permits injection rates of 4cc/sec. Features a variety of productivity enhancements. Incorporates the GE delay-corrected de-convolution method. 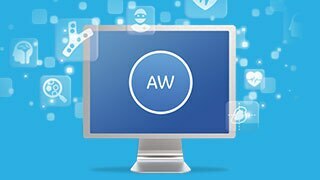 Visualize all information in true volumetric form with the ability to employ all the volumetric-based image analysis tools in the AW Volume Viewer. Smart Maps using the intelligent 4D noise suppression algorithm improves functional map image quality in the presence of noise. Streamlined tissue classification and visualization incorporates thresholding of selected functional maps. Volumetric visualization of functional maps. 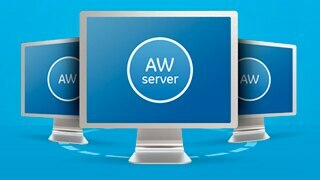 Access from anywhere using AW Server. Time stamps on functional maps and Regions of interest (ROIs). Process double phase acquisition data. Create 4D Regions of interest (ROIs). Display Regions of interest (ROI) statistical information. Display averaged time intensity information of the Regions of interest (ROI). Simultaneously review any number of functional maps. CT Perfusion 4D is an image analysis software package that allows the user to produce dynamic image data and to generate information with regard to changes in image intensity over time. It supports the analysis of CT Perfusion images, obtained by cine imaging (in the head and body) after the intravenous injection of contrast, in calculation of the various perfusion-related parameters (i.e. regional blood flow, regional blood volume, mean transit time and capillary permeability). The results are displayed in a user-friendly graphic format as parametric images. This software will aid in the assessment of the extent and type of perfusion, blood volume and capillary permeability changes, which may be related to stroke or tumor angiogenesis and the treatment thereof.